The most active dinosaur digs are in western North America, Argentina, and East Asia. Lots and lots of things to dig up. What captures the Rhino Imagination is what anyone would make of a wandering bone, before all the 19th century Science and the related explanations of prehistoric events. 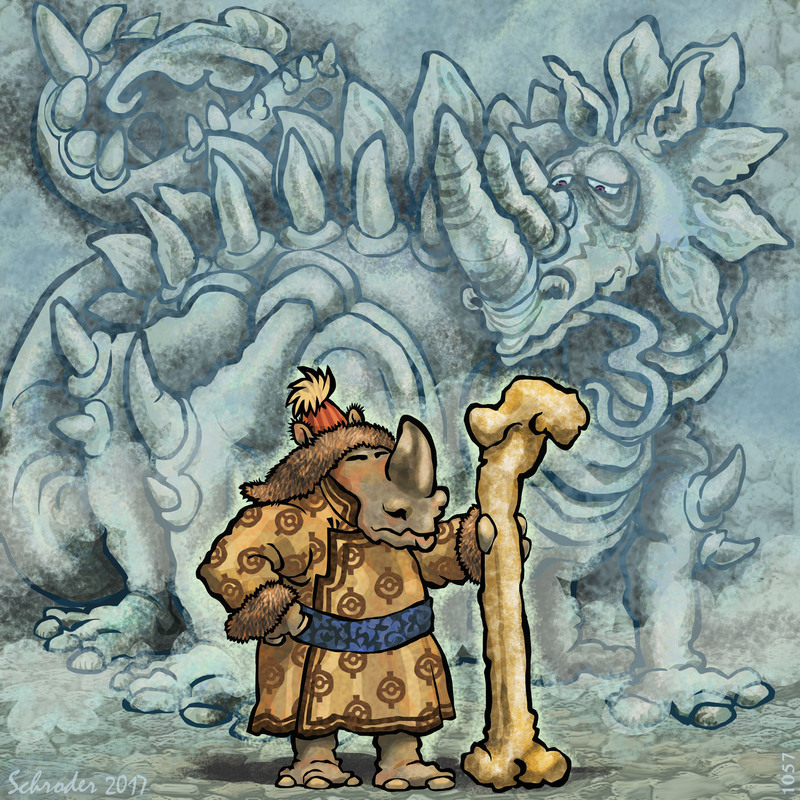 We figure the bone would be attributed to giant Mythic Creatures. And come to think of it, how wrong would those assumptions be?